Nearly 80 percent of St. Louis' greenhouse gas emissions comes from buildings, according to 2015 data from the city's sustainability office. A new partnership with a national energy efficiency initiative could help St. Louis address the impacts its buildings have on the environment. The city recently joined the City Energy Project, a joint initiative by the Natural Resources Defense Council and the Institute for Market Transformation, which provides funding and resources to cities to create programs that improve energy efficiency in buildings. St. Louis expects to receive over $500,000 in assistance from the project. "In tackling our greenhouse gas emissions from existing buildings, a program that focuses on existing buildings is going to help us achieve some of our climate protection goals and objectives," said Catherine Werner, the city's sustainability director. 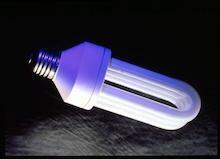 Installing energy efficient light bulbs can help reduce a building's carbon footprint. The city offers commercial buildings owners the opportunity to participate in its Set the PACE program, which finances energy efficiency, water efficiency and renewable energy projects for buildings. The city recently expanded Set the PACE to include residential buildings. Werner said the partnership will lead to creating more programs that encourage building owners to address their energy usage. "If you're a business owner and if you take advantage of some of these programs, then your utility costs are going to go down," she said. "Your efficiency is going to improve and you're going to save money." Werner's office is drafting an energy benchmarking ordinance that would require building owners to track their energy use. The city will only qualify for funding and resources from the City Energy Project if it passes the ordinance, which she said could happen this winter. She's also working with stakeholders and organizations to come up with a funding match for the project. "This is a fantastic opportunity for us to move the needle on the dial and make a difference in our greenhouse gas emissions and energy efficiency," Werner said. "It's going to take the support and participation of many, many, many people in the community to make this successful." But what exactly is benchmarking? “Tracking your building energy use and comparing that to some sort of baseline, and that can be measuring against your past performance – your past energy use, or it can compare to other similar buildings,” said Emily Andrews, executive director of the U.S. Green Building Council-Missouri Gateway Chapter. It has worked with all types of building owners: from congregations to grocery stores, the Missouri Botanical Garden and the St. Louis Cardinals. 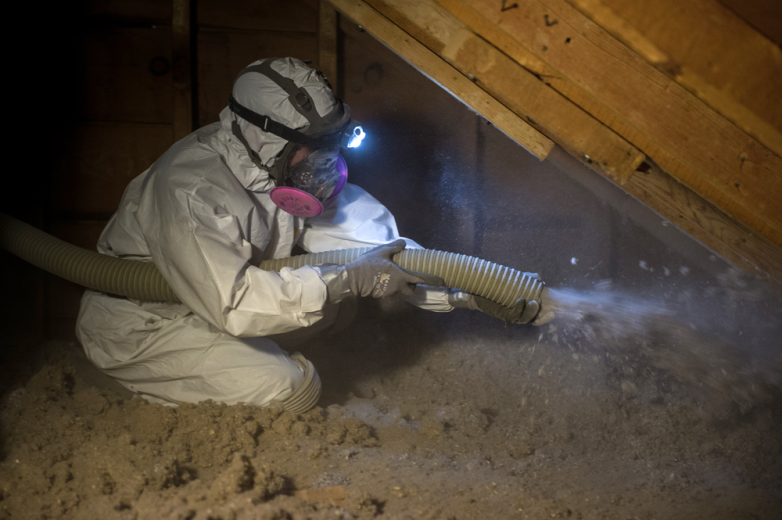 Installing fiberglass insulation could help cut energy loss. Andrews said the first step is for building owners to collect a year’s worth of energy use data to set that baseline. They will then enter that information into a tool called the EnergyStar Portfolio Manager that provides “target-setting support.” EnergyStar gives buildings like basic office buildings and schools a 1-to-100 score comparing their energy usage to similar buildings using the tracking tool across the country. Andrews’ group will host its third “Benchmarking Jam” from 4 to 6 p.m. Nov. 30 at the Botanical Garden’s Commerce Bank Center for Science Education. Volunteers, usually engineers, architects and others in the building industry, will help building owners and managers to gather a year’s worth of data and enter it in the EnergyStar program, as well as answer questions. Benchmarking isn’t just good for the environment, but also for building owners’ bottom line, Andrews said, by saving energy costs. That was the experience of Forum Studio/Clayco, which began benchmarking eight years ago. But Forum Studio senior associate Nick Bristow said the company could not have saved costs and energy had it not started tracking its usage. Since then, the company has made changes that resulted in a six percent decrease in energy usage each year “just through the benchmarking.” Now the company has a score of 74 and hopes next month to top 75 and become EnergyStar-certified. Bristow emphasized that his company didn’t make any major changes, other than replacing its roof in those years. It first made sure all of its equipment was working properly, then looked into new techniques or energy-saving strategies. For example, he said the company revamped its “morning warm-up program” by changing how it began heating up the building each day. Bristow said benchmarking has been a “cheap and easy way” to improve its energy usage. Andrews said she hopes other building owners will follow Forum Studio’s example. The more buildings that participate, the more the St. Louis region might meet greenhouse gas reduction goals. For instance, the city wants to eliminate 25 percent of greenhouse gas emissions by 2020. “It’s hard to control what people are doing in their own homes and buildings, so we’re helping to raise awareness about what people can do to contribute to both the city’s and the region’s environmental health,” she said. The federal Clean Power Plan to cut carbon pollution could provide tremendous financial savings for property owners in Missouri, according to research from the Georgia Institute of Technology. While the Environmental Protection Agency's Clean Power Plan does not explicitly require buildings to adopt certain energy efficient standards, it requires states to develop a plan to cut carbon emissions. The American Council for an Energy Efficient Economy ranks the Show Me State is 44th in the nation for energy efficiency. There’s no shortage of incentive programs to install energy-efficient appliances and fixtures in Missouri, but a new report shows that affordable, multi-family housing units are often left out of the mix. According to the paper from the National Resources Defense Council, only 30 percent of households in those buildings within Ameren Missouri and Ameren Illinois' service areas are participating in energy efficiency programs. Energy costs can disproportionately impact low-income families, who spend nearly 14 percent of their annual income on utilities, according to the Missouri Department of Energy.